The Lyme Borreliosis illness, more commonly known as Lyme disease, was first recognised in 1975. Mothers who lived in Lyme, Connecticut, noticed that their children had developed what they thought to be Rheumatoid Arthritis. Lyme disease is a bacterial illness caused by bacterium called Borrelia Burgdorferi. 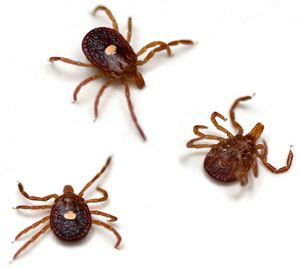 It is spread when infected ticks, often found on deer, bite the skin and feed on the blood, which gives a gateway for the bacterium to infect the body. Lyme disease affects people in the United Kingdom with an estimated 2,000 to 3,000 cases a year, whereas the United States of America has more than 16,000 cases annually. However, it is prevalent in other parts of the world with common bacteria such as Borrelia Afzelii and Borrelia Garinii affecting many people each year. Who does it affect and who can claim? Lyme disease is an endemic in northern hemisphere regions such as Canada, Europe, United Kingdom and the United States. 20-25% of Lyme disease cases occur while people are abroad. Simpson Miller LLP's travel solicitors can advise you if you have been affected whilst on a package holiday. Wear protective clothing – such as long sleeved shirts, long trousers, boots etc. 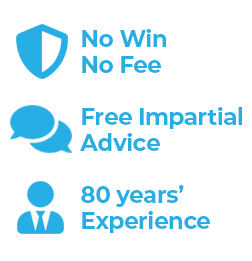 Wherever you have contracted Lyme Borreliosis, our lawyers can advise you. If you have contracted the disease through no fault of your own, and you believe your tour operator is to blame get in touch today. Our blog Holiday Hotel Watch is dedicated to hotels we are investigating and monitoring for sickness epidemics and illnesses affecting UK holidaymakers, view today to see if your hotel is on our list.